Ok, so I officially made it in under the wire for the Zutter Zister’s DT entry. However, last night I dream about an idea. I’m working on these projects for 2 weeks and NOW come up with an idea? Man this stinks. But, this is my idea for future reference. LOL. Instead of tying the ribbon on the binds, on one of them, I should have weaved in and out until the spine was covered and then tied a pretty bow. Oh well. What is done is done! 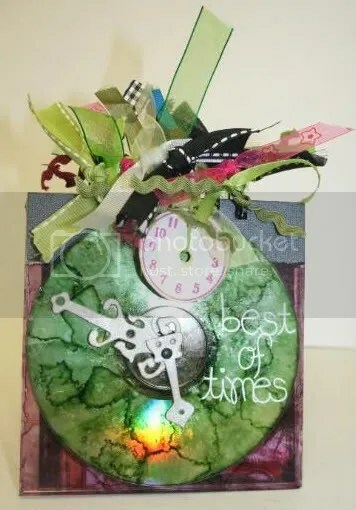 CD Mini-Book. 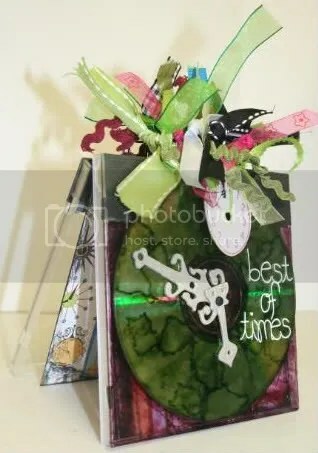 This uses two CD fronts, a real CD, and alcohol inks! Loooove me some alcohol inks! 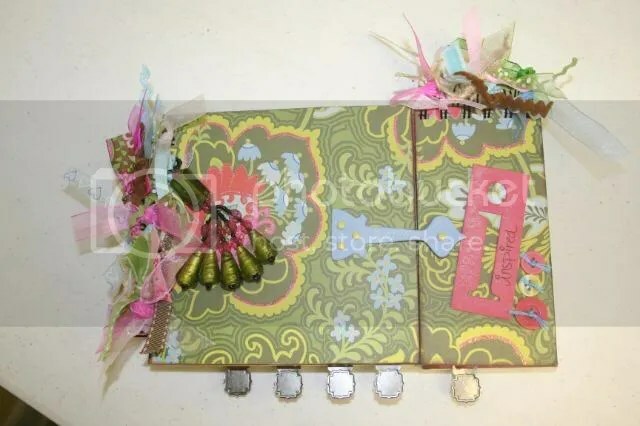 This is suppose to utilize left-over chipboard or whatever you have. I just don’t like traditional to much so I went for fun and funky! Last my pride and joy! I love this little book. I have been wanting to do an idea/date book for some time and I love how it turned out. 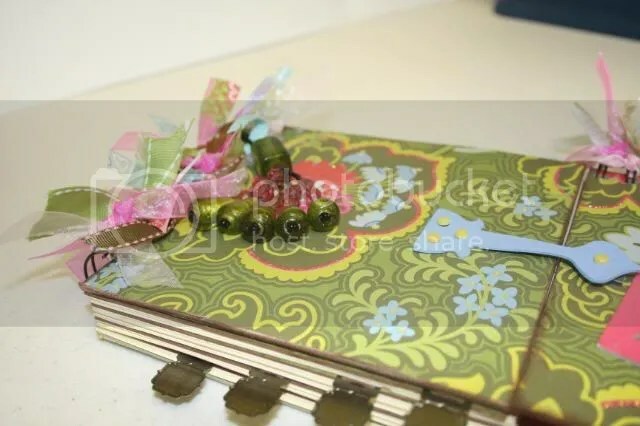 There are tabs for calender, journaling, sketches, emellishments and to-do! I looove this beautiful book! I love the yummy Primas and acrylic letters! Mandie – I absolutely love these!! I’m sending you lots of DT dust and just know they will pick you!!! 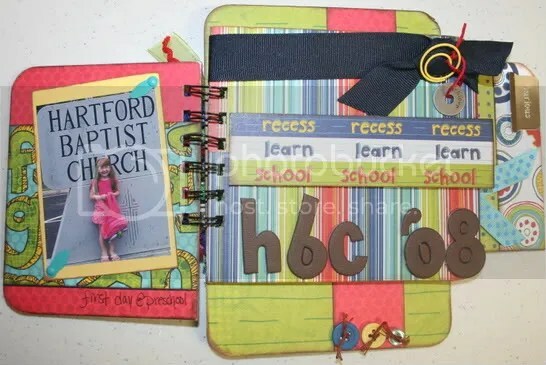 Mandie I’m loving your CD Minibook! Great stuff, chica! Love you! I love them all, Mandie! Great work! Awesome work, Mandie! 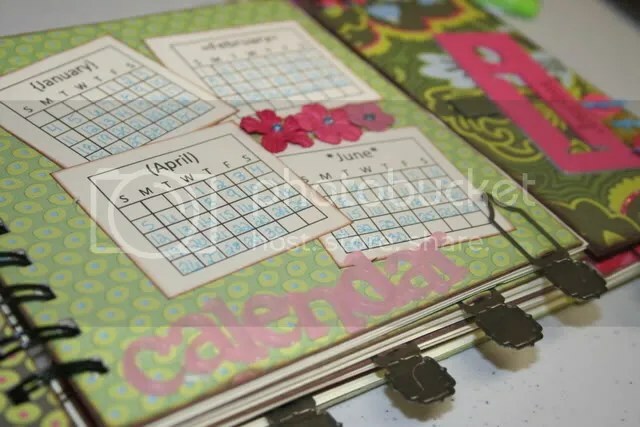 I just love the planner book! I would love to make one for my mom. Maybe you could teach a class on that at a future online crop! Love everything Mandie! Great work! Love it all, the colors are great on everything. 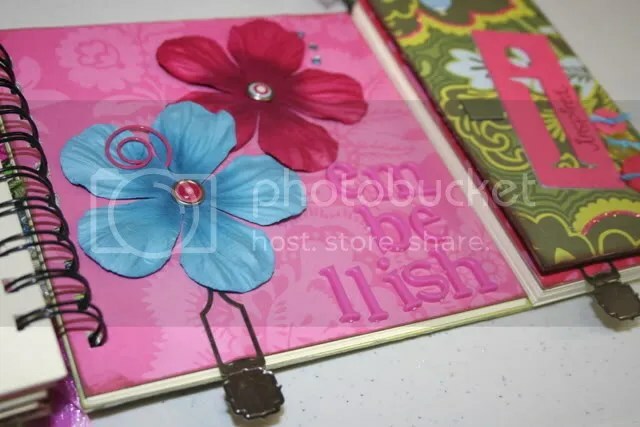 The date/idea book is a fabulous idea!!! I absolutely love them! You do such fabulous work Mandie!!! I always enjoy looking at whatever you create! Those are gorgeous Mandie! Very creative use of the hinges! Mandie – I’m torn….I can’t pick a fav…..I love them all…..I have alcohol inks I’ve never used. 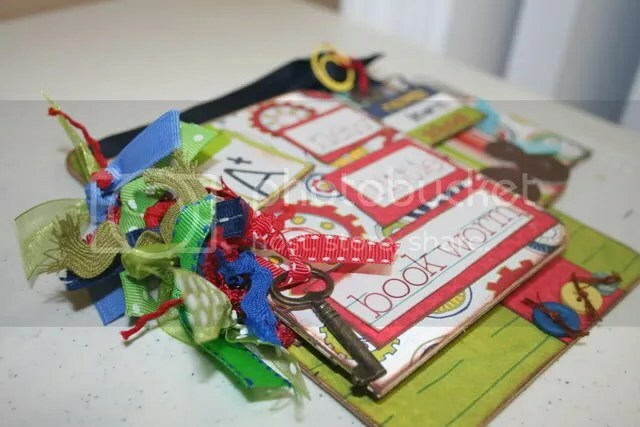 I love the way you did the bookworm book….and the date book is fantastic….good luck!!!!! Those are great!! I love the colors!! I love all of these books. You are so creative and did such and awesome job!! Great work! And darn the elusive idea – but you have to save something for when you get that DT spot!! 😉 You’d be great for it! !